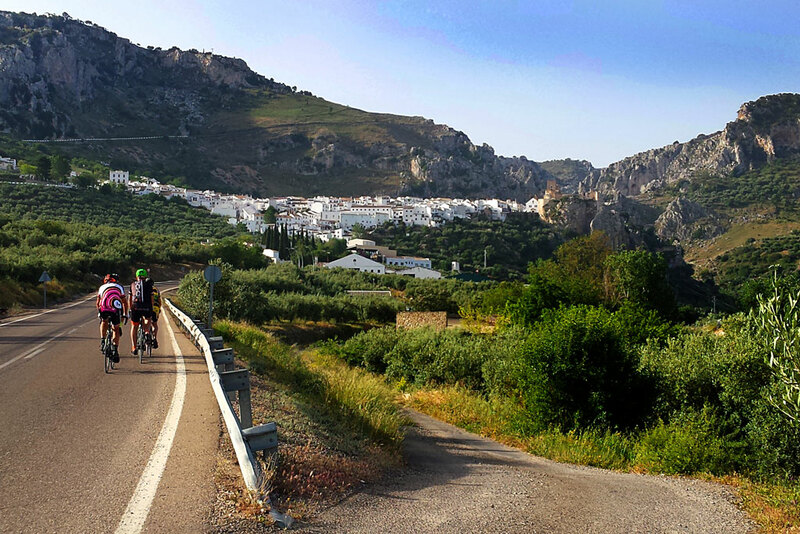 Cycling Andalucia is an experience all cyclists should have! 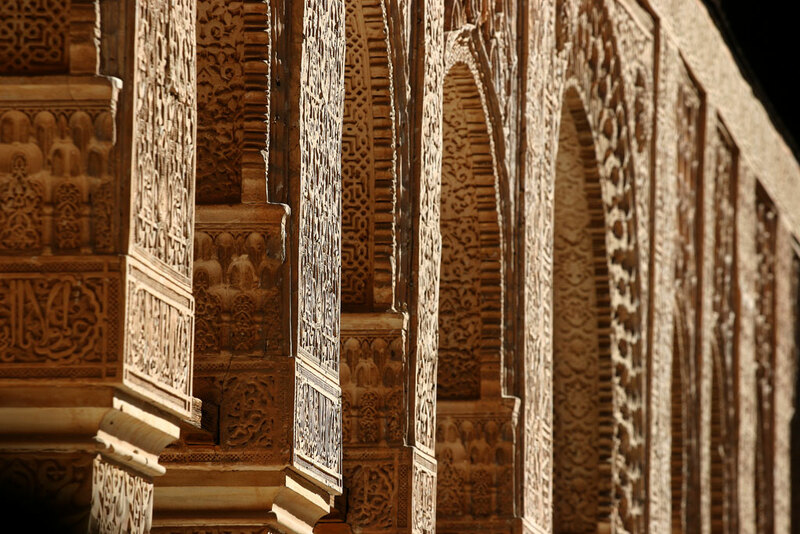 Andalucía is a region with evocative and highly romantic landscape infused with a delight of beauty and elegance. 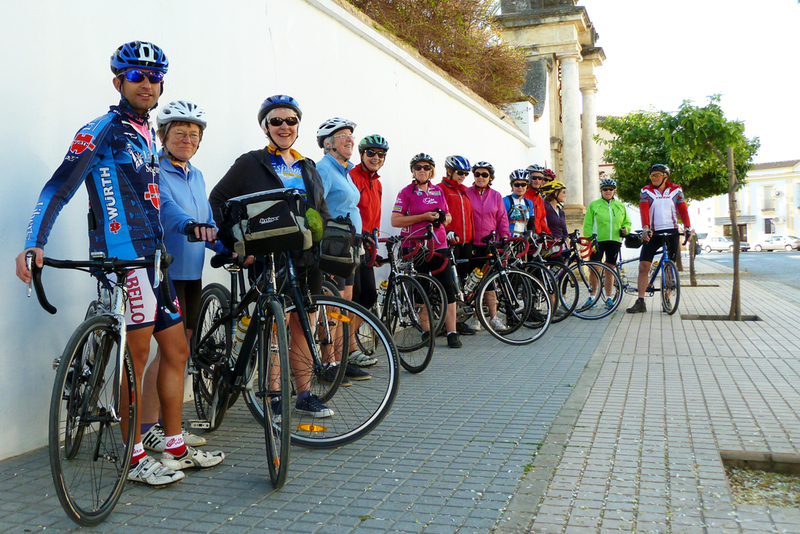 Starting our cycling tour from outside stunning Seville and its stately cathedral, pedal to the sunny city of Córdoba. 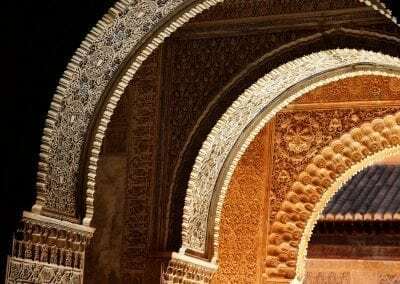 Enjoy the awesome UNESCO Mezquita mosque-cathedral and medieval Jewish quarter, before heading off into rustic Andalucía, home of shimmering olive groves and rolling hills. 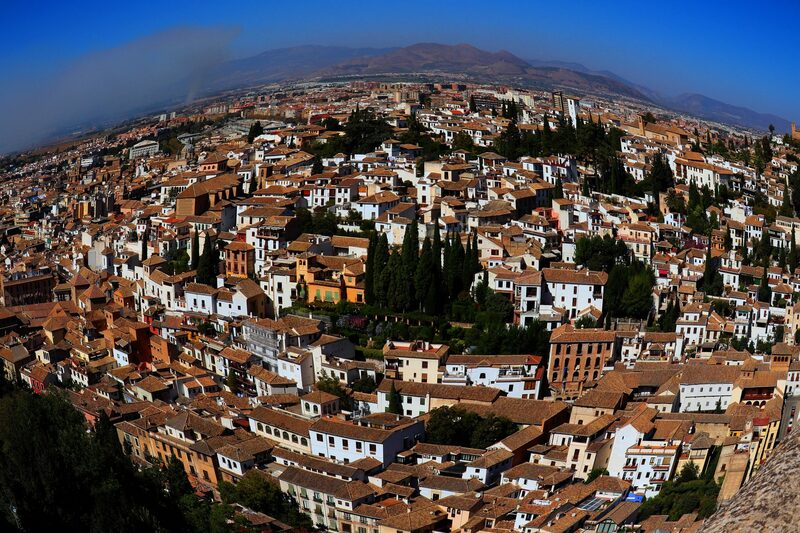 In the distance the mountains of the Sierra Nevada rise, and you arrive at the jewel in the Moorish crown, Granada. Strolling around the romantic gardens of the Alhambra Palace, the 8th wonder of the world, it is a fitting way to end this cycling tour of Southern Spain. OPEN TO ALL LEVELS: JUST ASK! 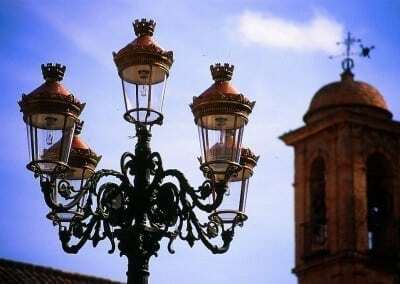 We meet in historic Seville at our designated hotel at 09:30am to transfer out of Seville´s hustle and bustle to what was the fertile breadbasket of the Roman Empire. 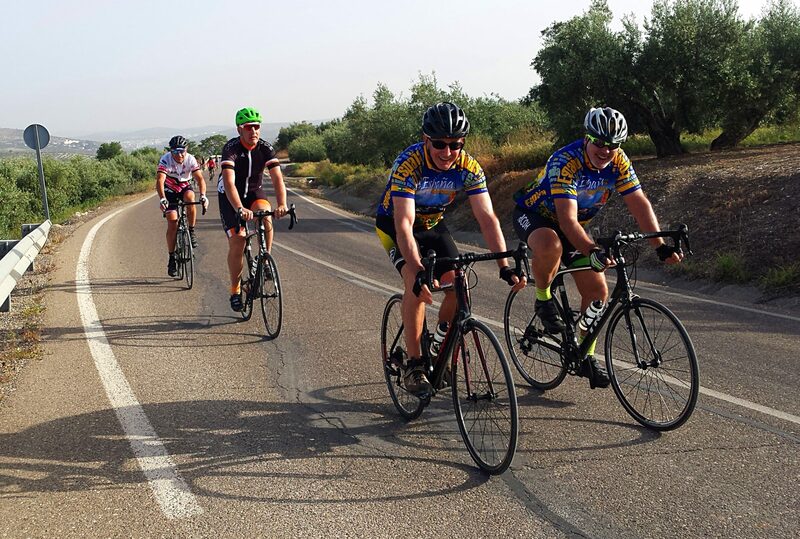 With time to explore fascinating Carmona, known to the Phoenicians, we set up the bikes and embark on a cycle through pleasant countryside plains and orange blossoms. 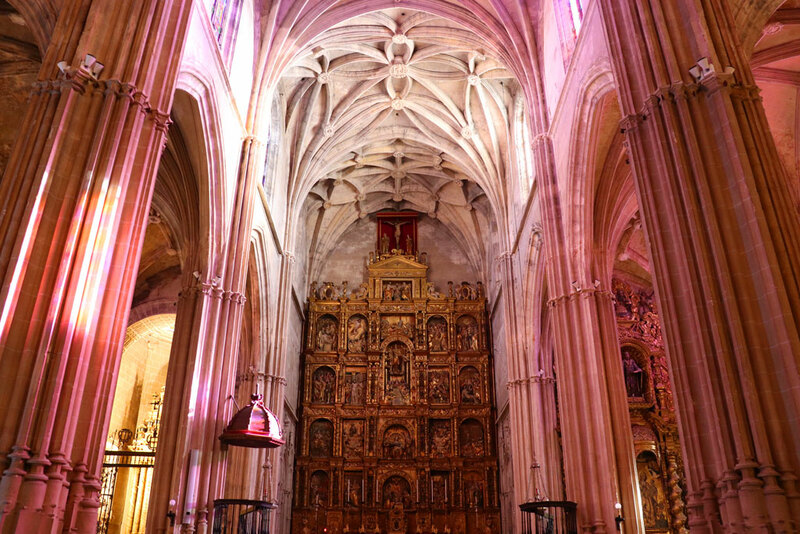 Stay the night in an unique and beautifully converted 15th century monastery of outstanding charm where Columbus was rumoured to have spent time. 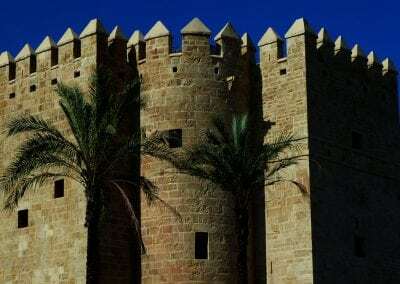 Read about its history on our Cycling Country Blog. 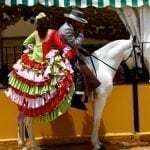 Ride out into the Campiña Cordobesa, the fertile region known since Roman times, which produces everything from oranges, peppers, artichokes and olives. 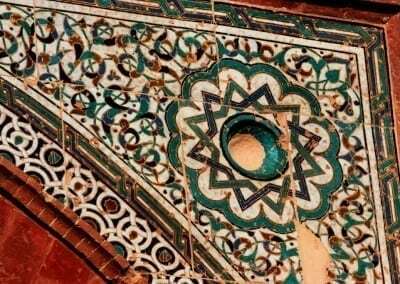 In Córdoba, take a guided walking tour of the old Jewish quarter, and enter one of the most incredible buildings in Europe, the UNESCO heritage Mezquita (mosque-cathedral). 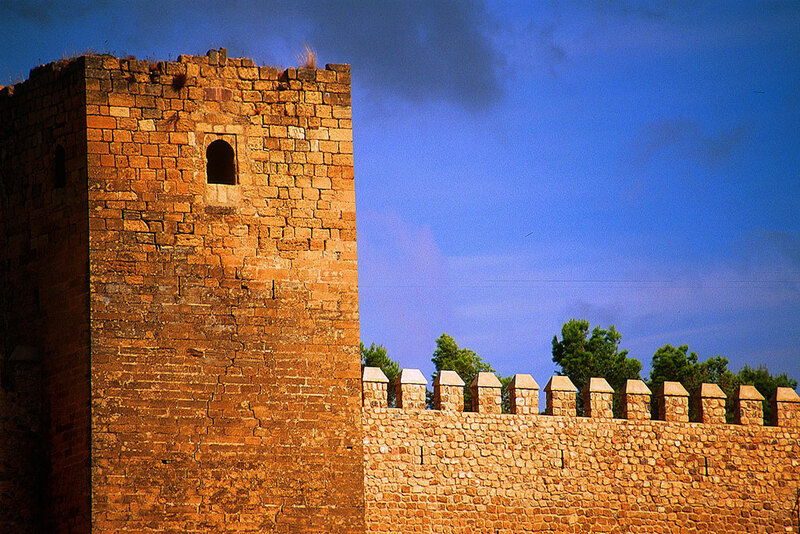 Soak in the atmosphere of the monumental centre home to such luminaries as Roman state person Séneca, Abbas Ibn Firnas, father of aeronautics, and Jewish philosopher Maimonides (who wrote the wonderfully named, "The Guide for the Perplexed" which you can buy on Amazon today!). 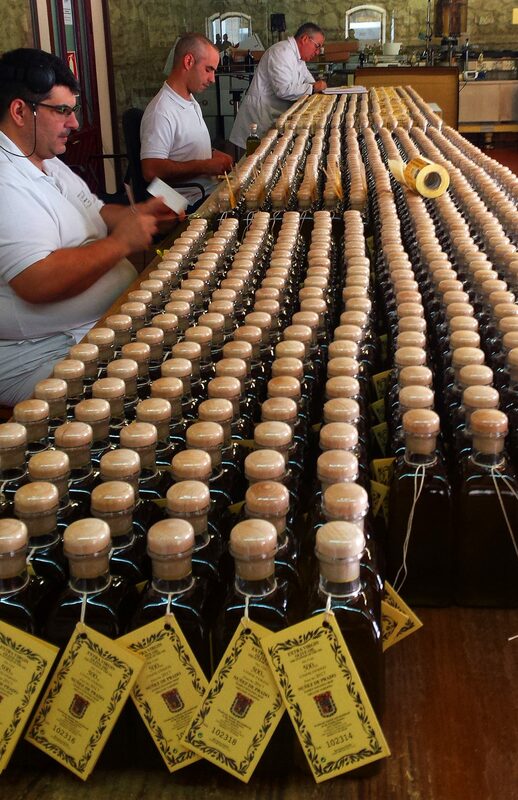 This area is known as the Ruta del Aceite (Oil Route) for good reason, as Spain is the biggest olive oil producer in the world ( about 45% of the world´s oil) taking in a harvest from 300 million trees. 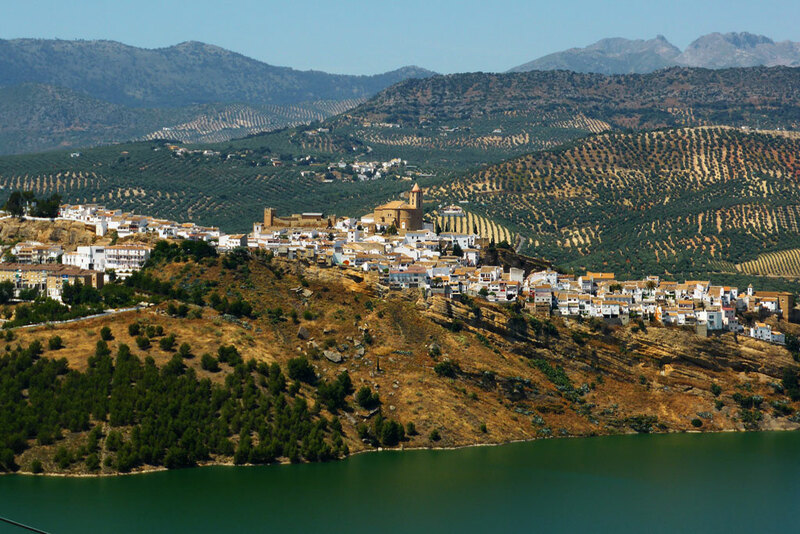 Andalucia makes up the majority of this and you will see why as row upon row of olive trees punctuate the landscape! 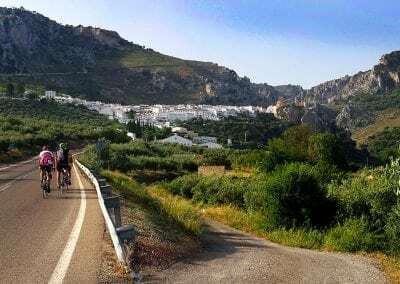 Cycle to Zuheros, one of the prettiest White villages in Andalusia, the Moorish castle literally hanging from the rocks and its tiny cobbled streets keeping a still very traditional way of life.Enjoy exploring your own beautiful 4 star Hacienda. 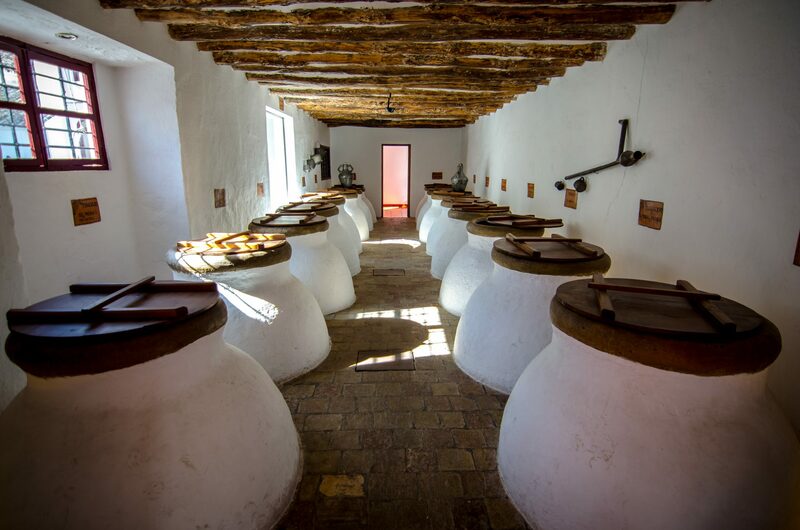 A special place, it is a lovingly restored 19th century olive press.N.B. It is possible to join the tour this morning in Córdoba (6 days / 5 nights). 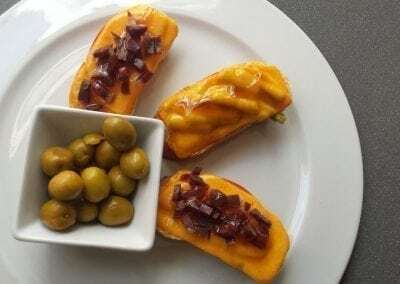 Fast Direct Train Connections from Madrid Atocha Station (on the metro underground route from the airport) or from Malaga make it easy! 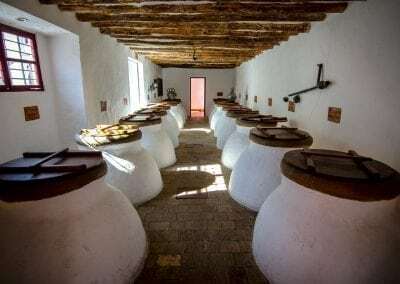 Loop Ride or Rest Day - 25km (to Cabra) (16 miles) / Ascent 100m (-100m) 328 feet (-328ft) – Breakfast inc.
Start the day off with a private guided tour of a distinguished Organic olive oil press, family run since the 18th century. Have time in the afternoon to ride the relaxing 'rails to trail' traffic free path to a lagoon passing the old olive oil railway stations and experience views of olive groves for as far as the eye can see. 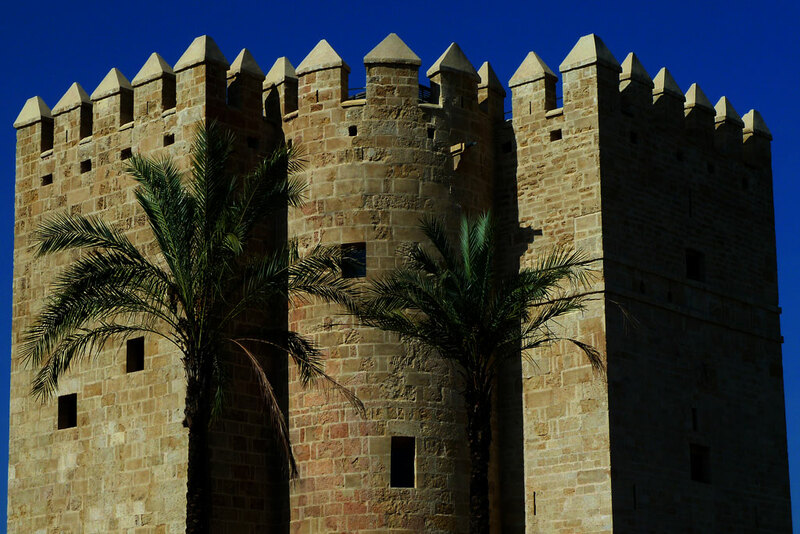 Cycle through a national park with its lonely medieval towers, stopping en route to explore the truly baroque town of Priego. 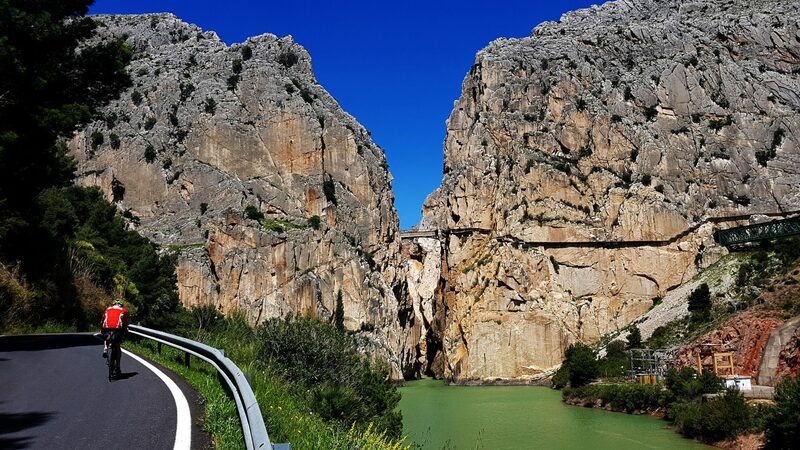 Overlooking an impressive lake surrounded by mountains and small white cortijo farmhouses, we load up the bikes and transfer to our highlight hotel near Antequera, a majestic 16th century convent set in olive groves. 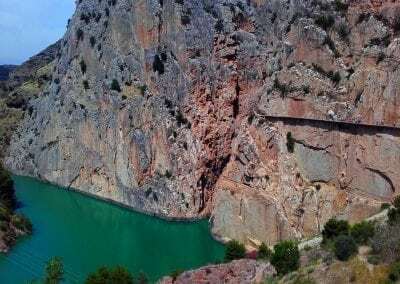 Loop Ride or Rest Day - 40km (to lakes)(25 miles) / Ascent 560m (-680m) 1837 feet/(-2231ft) – Breakfast inc.
Start the morning with a joyful ride through Abdalajis valley´s rolling hillsides, pastures of sheep and goats, and be awed at the deep cut El Chorro gorge. 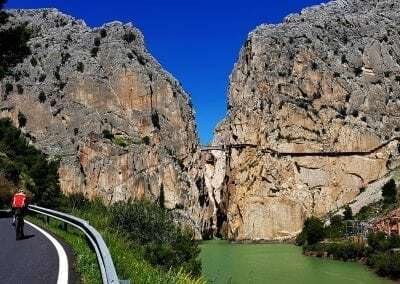 Here you can admire the Caminito del Rey (King's Walkway), a series of wooden walking platforms that somehow hang to the gorge side. 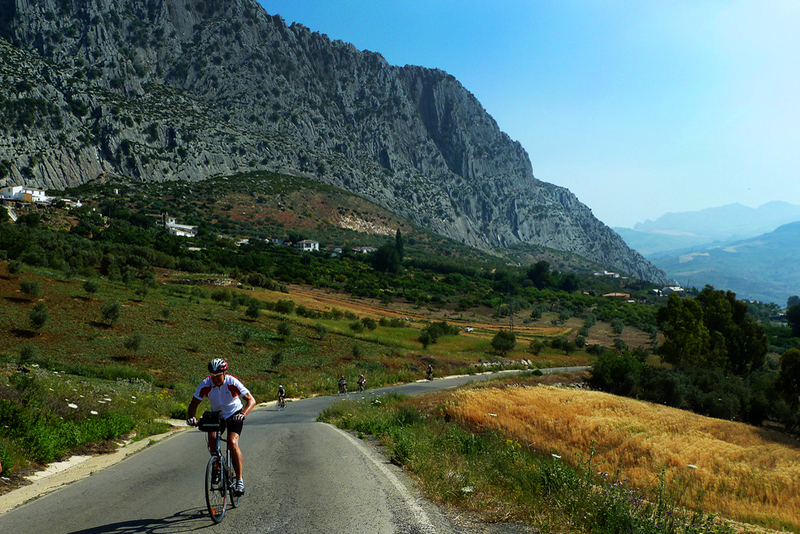 Today´s optional ride revels in stunning scenery and pays testament to the cultural richness of this area.Why not relax in the hotel´s spa or venture into the bustling town of Antequera (which the Romans called, "Antikaria") with its Neolithic sites, enchanting Moorish Alcazar and Renaissance plazas to enjoy a bite to eat. 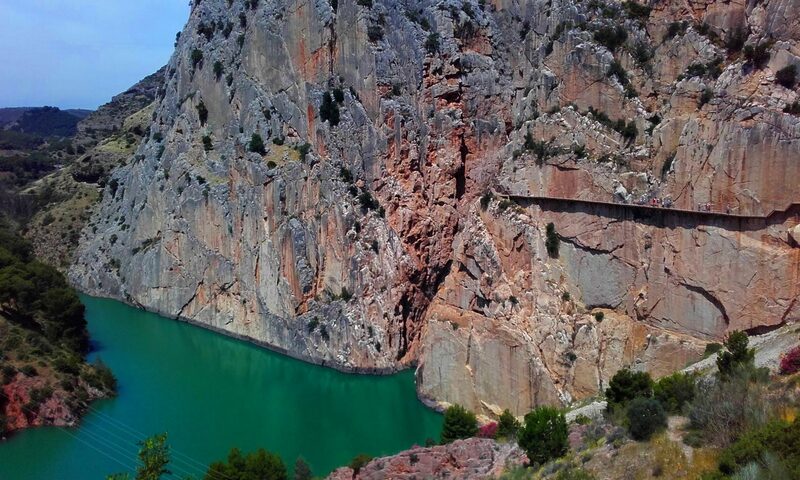 Or even, have a day visiting and walking the windswept Karst rock sculptures in the El Torcal reserve or even the nearby Wolf Park! 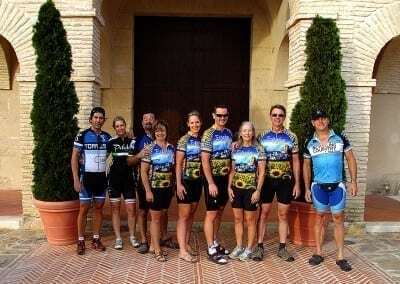 The spectacular scenery continues as you head out of your convent hideaway and along roads with sweeping views of the surrounding countryside Sierras. 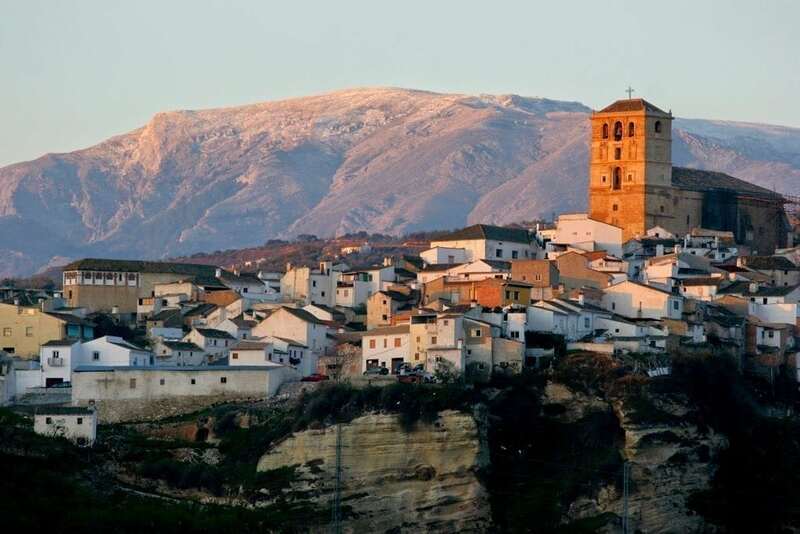 We finish with a cold cerveza beer and tapas lunch to toast the end of this epic cycle ride in our rural home town of Alhama de Granada, with its enchanting medieval churches, arabic barrio and pretty gorge.After lunch, take an afternoon transfer to the picture postcard city of Granada with the awesome back drop of the snowy Sierra Nevada. 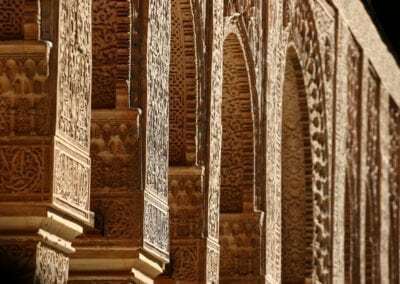 Explore Day - Breakfast inc.
What is a voyage to Spain without a visit to the most iconic, unique and alluring building in Europe, the Alhambra Palace. 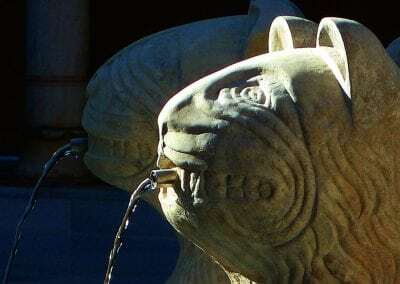 Exploring in a guided tour, this UNESCO Heritage site of the 13th and 14th century fairytale Nasrid Palace and the Generalife Gardens, is a must. Be amazed by the centuries old wonderland of elaborate stucco, tile work and peaceful gardens. 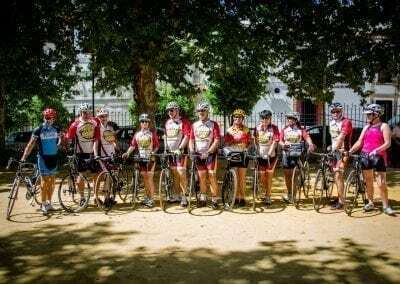 Moderate, Open to all - there will be van transfers along the route enabling cyclists to cycle as little or as much as they want (Daily min average of 25 km to max of 78 km). 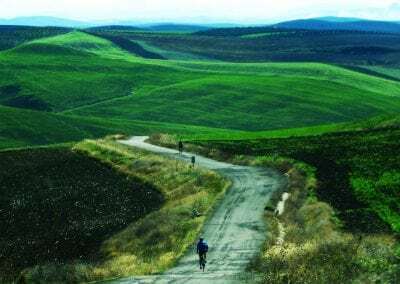 Quiet roads with rolling countryside with some steeper climbs (van transfer if required). 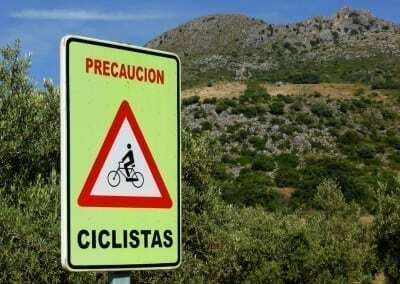 The route is hilly so be prepared! 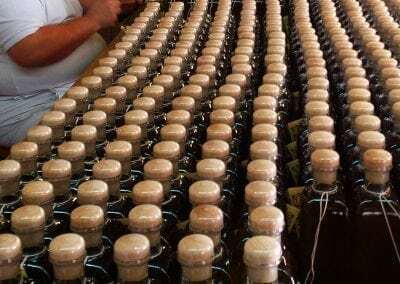 including wine/beer and soft drinks. Quality 24-27 speed TREK hybrid bike with front handlebar bag / map carrier. 2 -3 leaders with full van support to provide refreshments, provide directional signs where required, transfer luggage and provide on-road assistance. Generally, 1 leader cycles with the group. The van accompanies the group all the way. 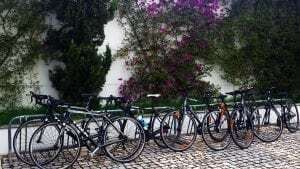 You can bring your own road bike (we have facilities to collect and store bike boxes for the duration of the trip) or we can arrange good quality road bike hire either Carbon Trek Edmonda S6s with Ultegra (185 Eur) or Trek Madones 3.1 (160 Eur). Wheel upgrades (e.g. Dura Ace C50, or Ultegra wheelsets) available upon request. 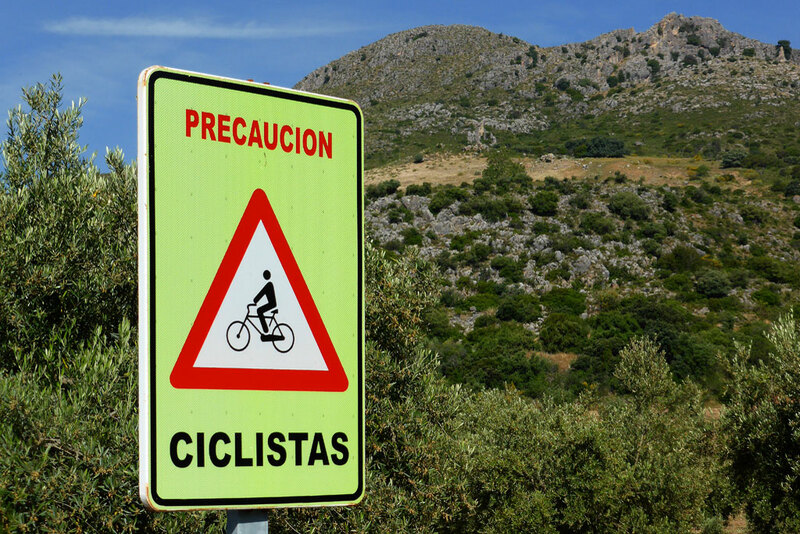 If you do bring your own bike, we recommend a compact or triple chainset. 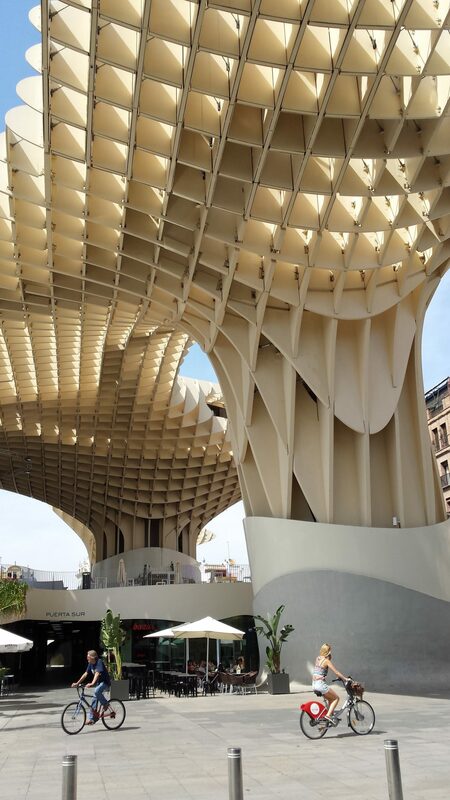 Several international flight carriers access Seville airport and Málaga (a 2 hour journey).There is also the excellent rail link between Madrid and Seville / Córdoba with the fast AVE train system. 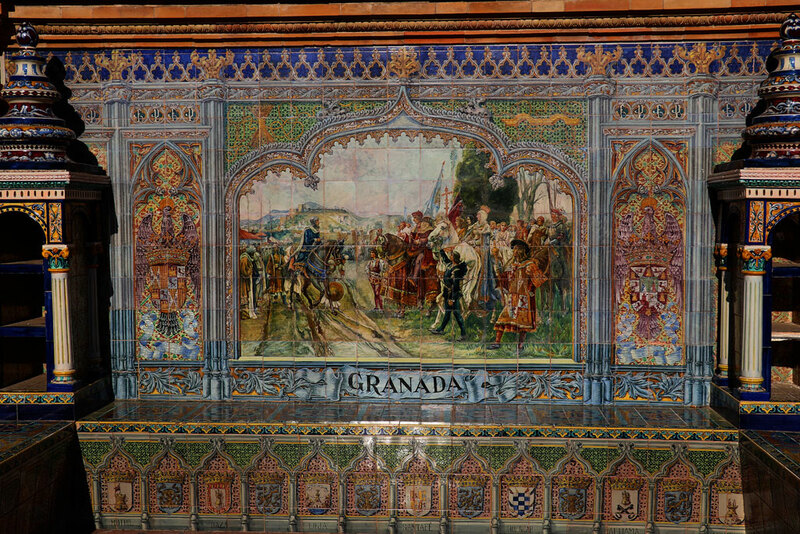 Granada also has an airport and good coach links back to Málaga 2 hours. 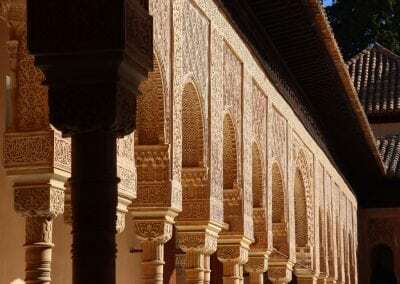 Boasting an ideal location in the old town, the Casas de la Judería's doors open out to the Jewish Quarter, just in front of the Alcázar de los Reyes Cristianos, the Royal Stables and the Caliphal Baths. 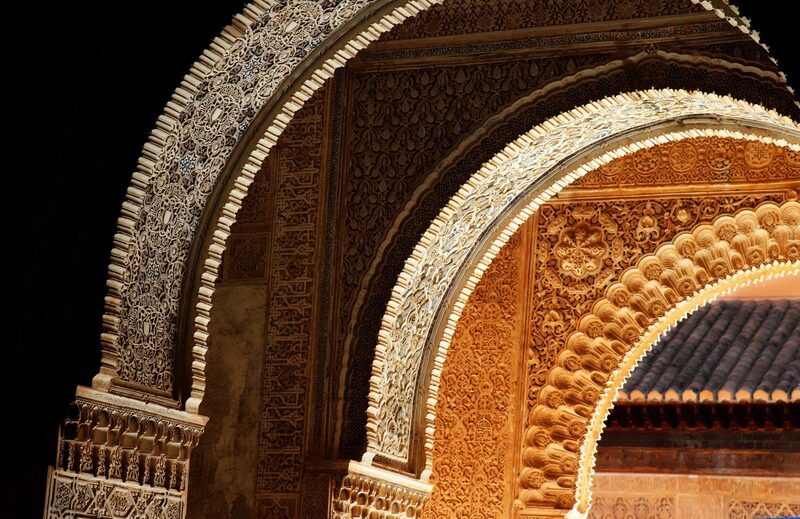 Cordoba’s Mosque-Cathedral is very near as well. 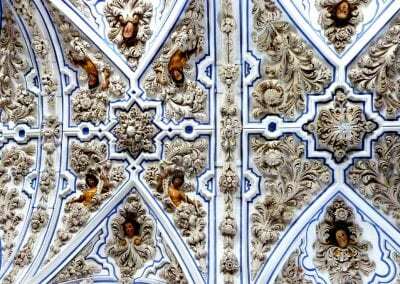 No two bedrooms are alike and stepping through its doors is like entering a miniature Córdoba; a journey into the visual past. 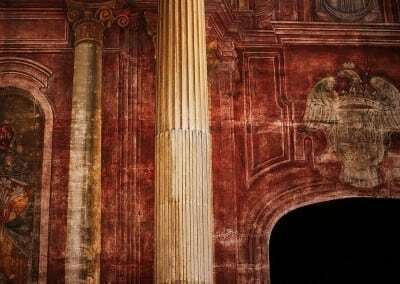 The rooms are spread across winding and labyrinthine corridors and courtyards which lead to Roman ruins, intimate alcoves and whispering fountains. 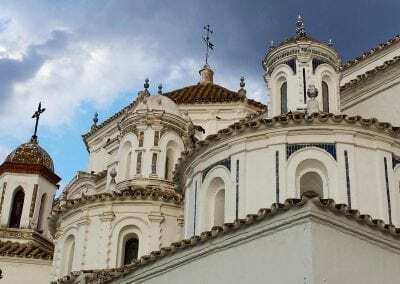 A highlight hotel to absorb the history that this route is set in is the stunning Magdalena Convent, a 16th century, 5 star hotel covered with captivating frescos and medieval charm. Enjoy the spa facilities and the peaceful mountain setting. 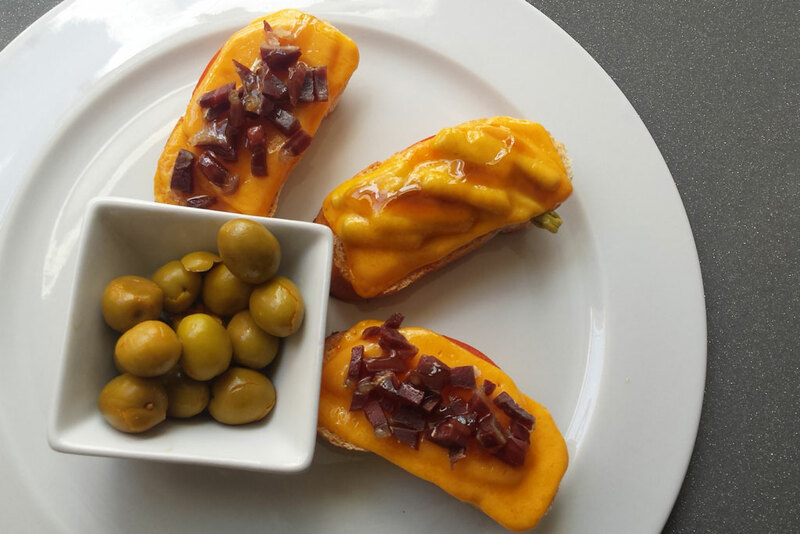 The food is prepared under the supervision of chef David Muñoz, who worked at Spain's famous El Bulli restaurant. A fine meal surely awaits. 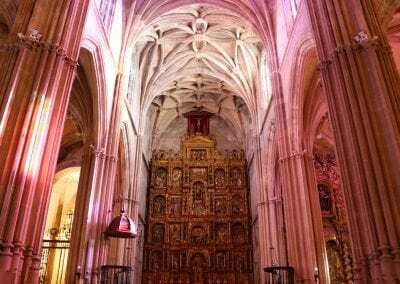 We stay in Palma del Rio's elegant and atmospheric 15th century San Francisco Monastery that Christopher Columbus rested in before setting off to the new world. 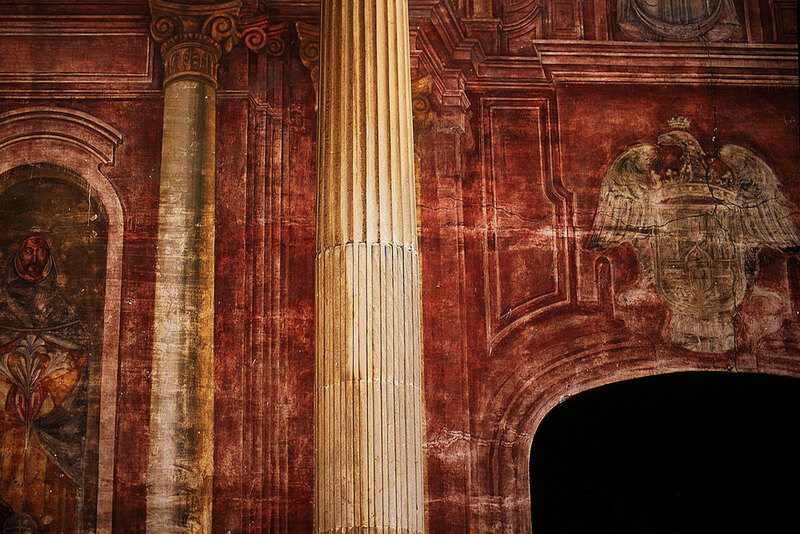 In the middle of the 20th Century, it was converted into a hotel, with the building's original architecture being fully respected. 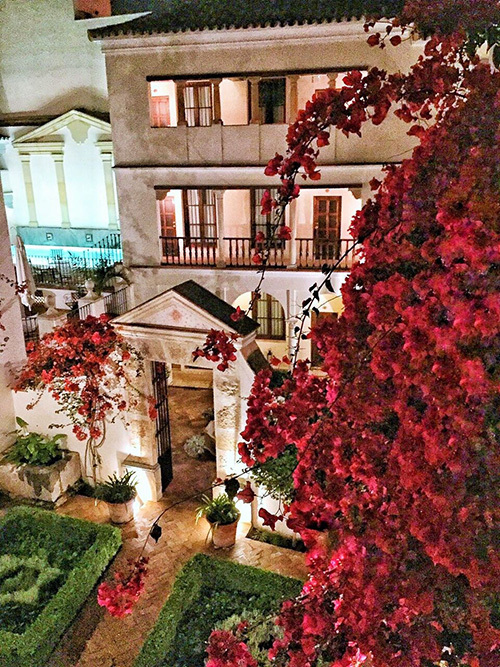 A hotel full of history, legends and charm. 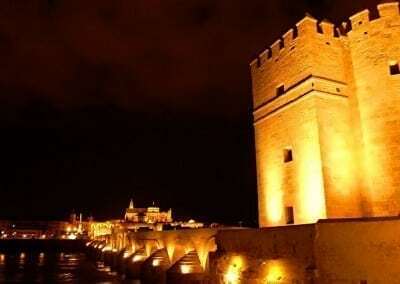 I booked this trip very last moment and, notwithstanding, Cycling Country did everything to accommodate me, including arranging for me to stay an extra night on either end of the trip at the hotels involved. 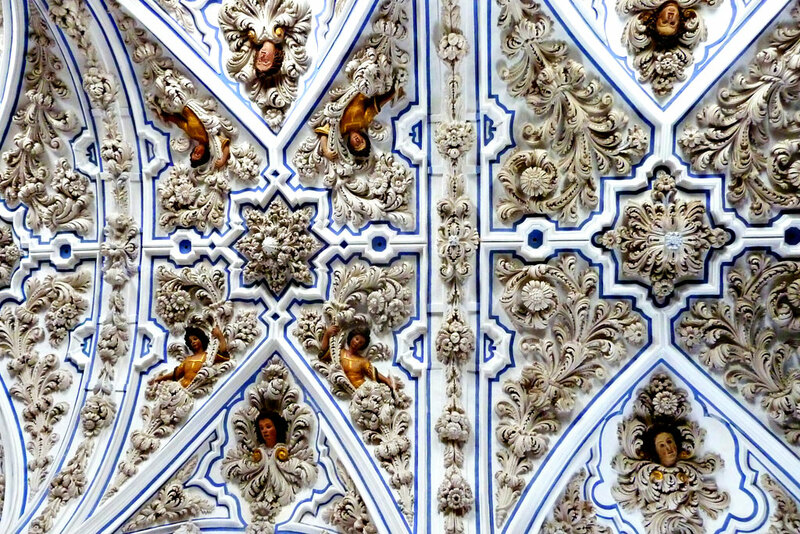 I took the Enchanted Andalucia 8-day tour starting in Sevilla. I found the bike I rented (a hybrid) to be in excellent condition and was glad I had it over the road bike option given that some of the roads were rough. All of the accommodations were excellent and charming. 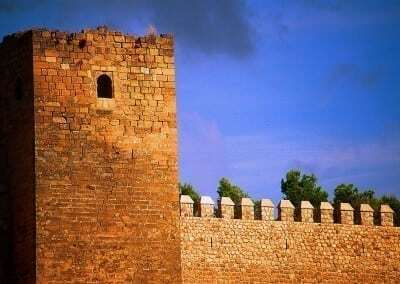 If you go, you’ll stay in places most tourists don’t see let alone stay in. I’ve included a few photos with this review. Our guides, Javi and Dani, were very good and knowledgeable. I speak some Spanish and they were kind enough to help me speak it better (though their English is fine). I underestimated my biking abilities and the tenderness of my tush after the first day but managed to bike almost everything. There were a few really challenging climb sections that I decided to skip by having them load my bike on the accompanying van. There was no problem or stigma in doing so. 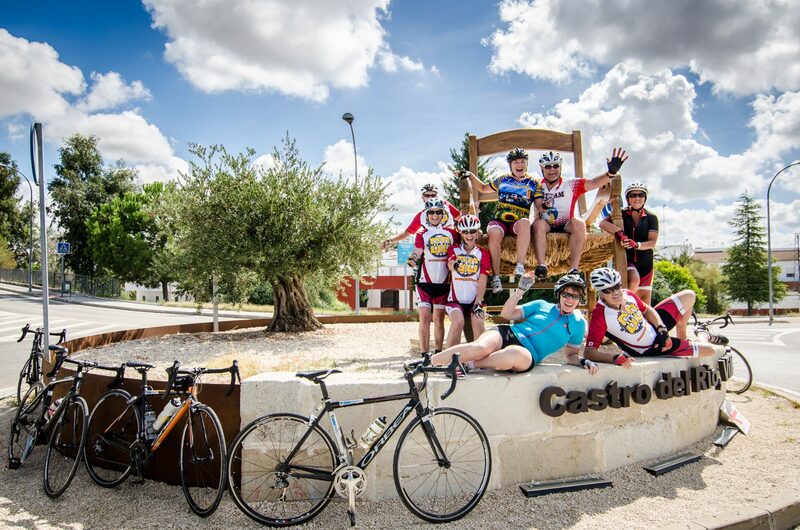 Cycling Country just wants everyone to have a good holiday, and they delivered!" 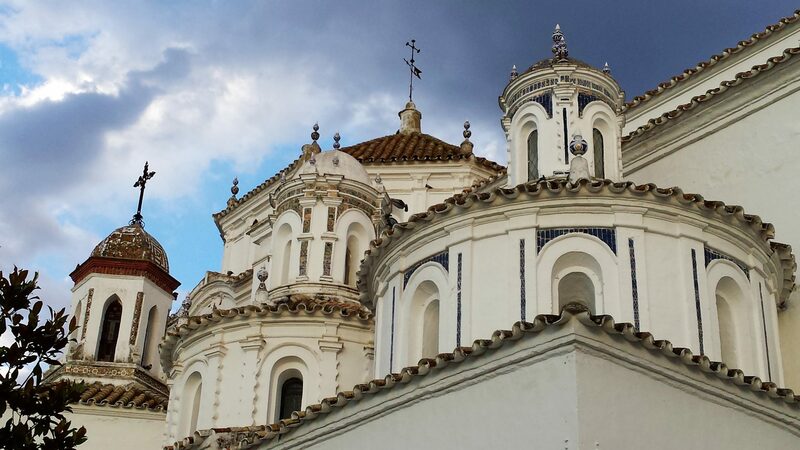 Dear Maggi and Geoff,So nice to receive the photos from the enchanted Andalucia trip. 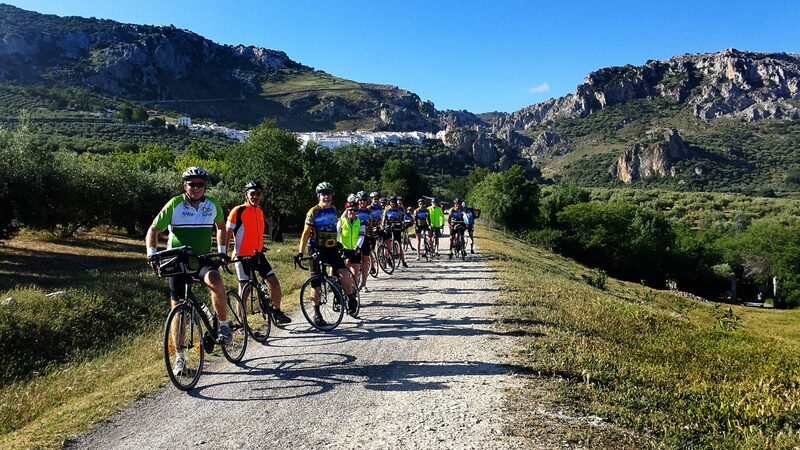 "We rode “Enchanted Andalucia” and Cycling Country did a great job with the tour. They were well organized, and accommodated last minute glitches well. Recent storms had washed out one of the roads they usually ride, but they provided an alternative route that was spectacular. Another day, when we were transferring in the vans, the highway was closed. No problem! And, when the weather got unseasonably cold, they adjusted some coffee stops and re-grouping points no one had to stand around outside too long. Our guides Javi and Dani were attentive, knowledgeable, and helpful. 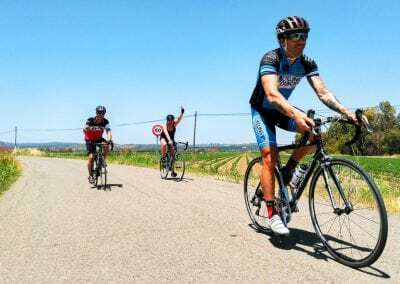 I know every rider has a different idea of what is “hard” or “easy” riding — this was a little more climbing than I had anticipated but I appreciated the challenge and it was a thoroughly enjoyable week of riding. Highly recommended!" "Well planned. Well supported. Exciting. Enjoyable. 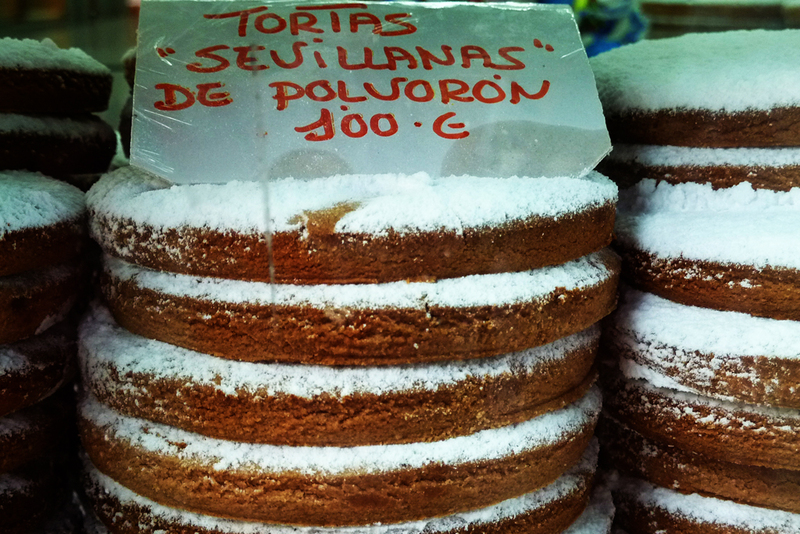 And the food, hotels, guides, and routes: fantastic. I want to do this again." 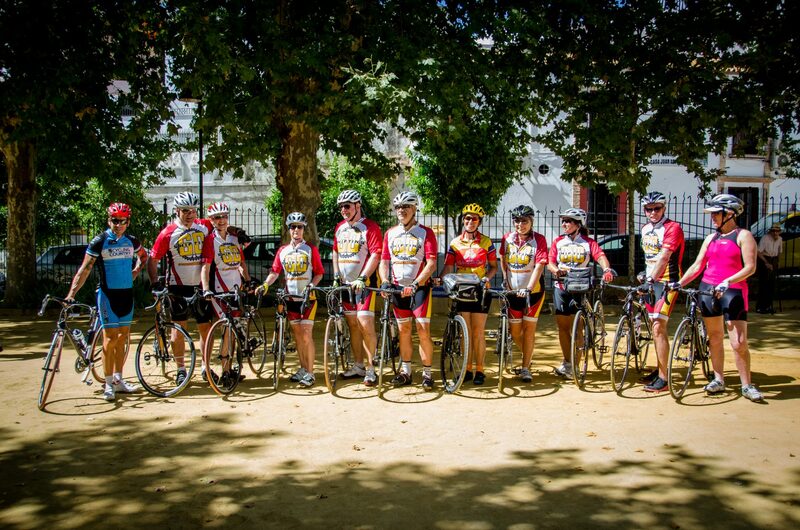 "Just returned home from this bike tour with Cycling Country. The experience was amazing. I especially appreciated the fine support and care given by our 3 guides. They even helped us reach the train station the final day. 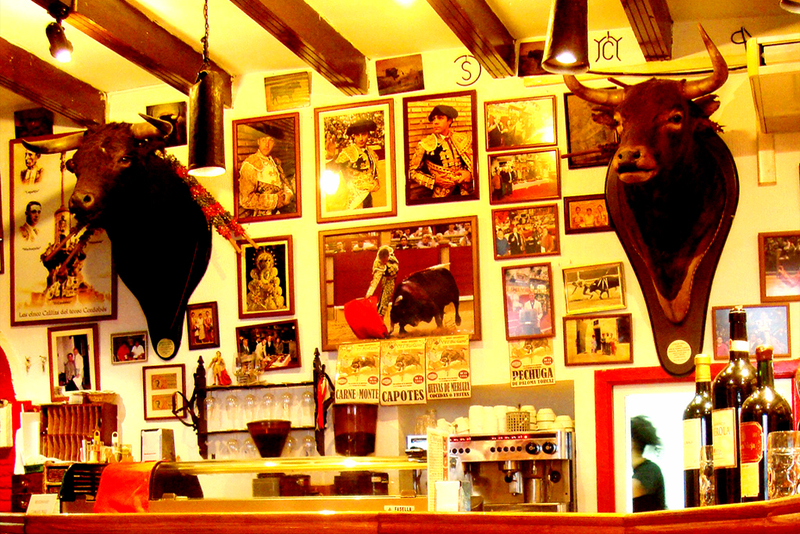 I was able to learn a lot about Spanish culture/life and felt my needs were well addressed. Thanks for helping me to experience an once in a lifetime trip. I just want to say the three guides were just terrific. 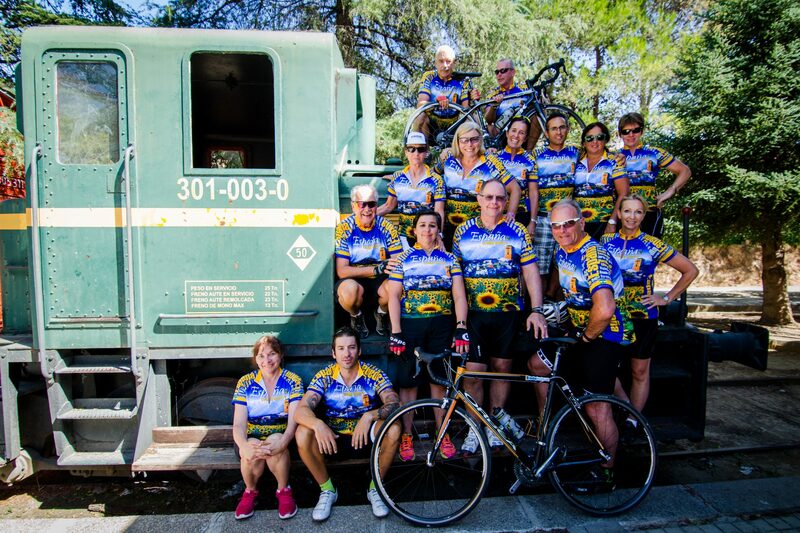 I enjoyed getting to know them and having some great climbs with them individually. They did a great job of herding us around with a smile on their faces. It really was a great trip. It was super helpful helping us get to the train station (well bus) Monday. Thanks so much. 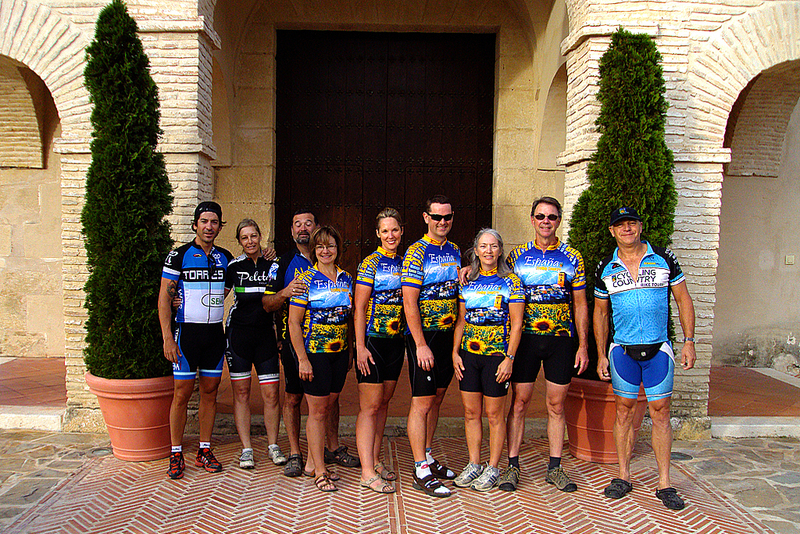 Deana"
"Our group of 8 recently completed the 8 day Enchanted Andalusia tour with Cycling Country. 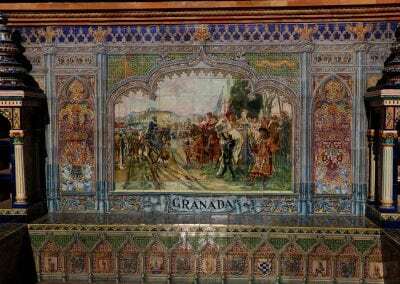 Geoff and Maggi organized a fantastic itinerary that included 6 days of biking and 4 walking tours on our route from Seville to Granada. The biking was fantastic. 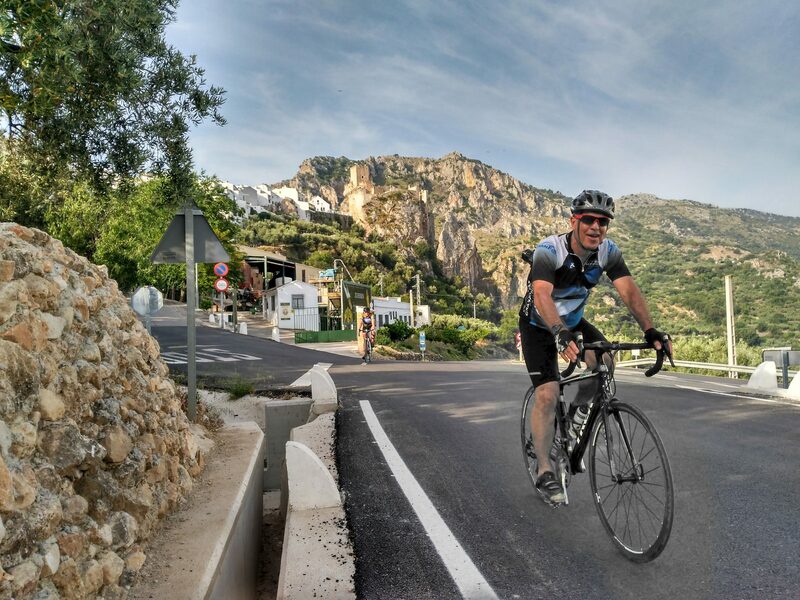 We had a great mix of ride profiles, fantastic scenery and, thanks to Geoff and Maggi's local expertise, very little vehicle traffic for the vast majority of the ride. 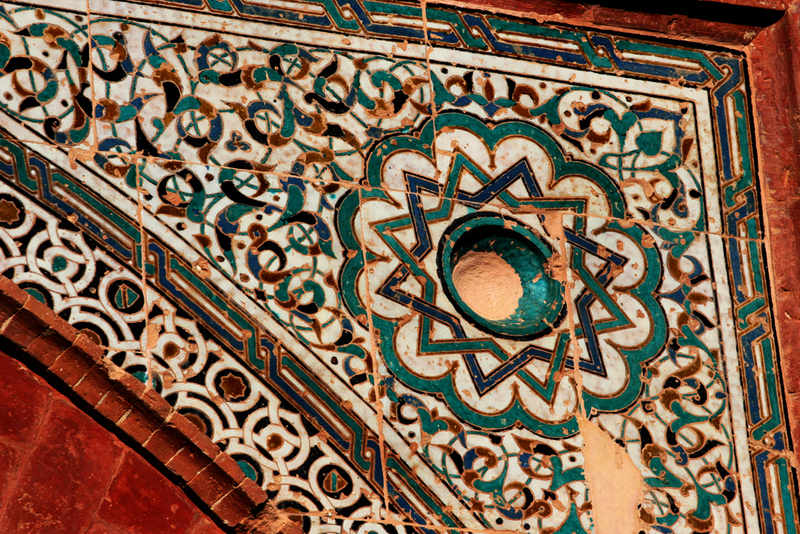 The walking tours were very interesting and informative, culminating with the Alhambra in Granada. 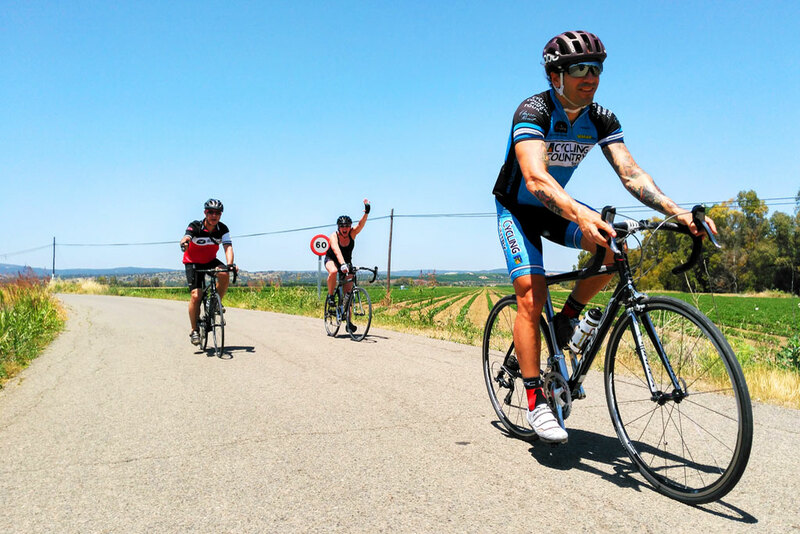 Cycling Country offers a perfect blend of professional organization while maintaining a relaxing and enjoyable atmosphere throughout the trip. 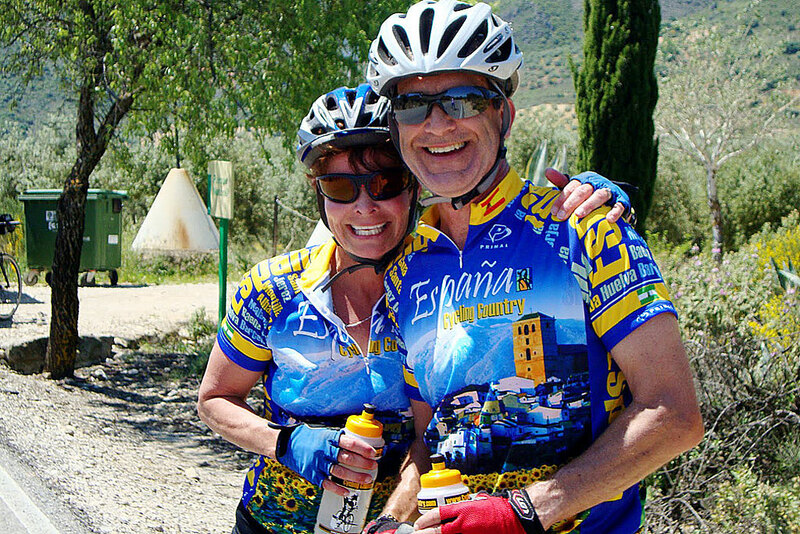 Geoff and Maggi are very knowledgeable about the area and enthusiastic about their bike tours." 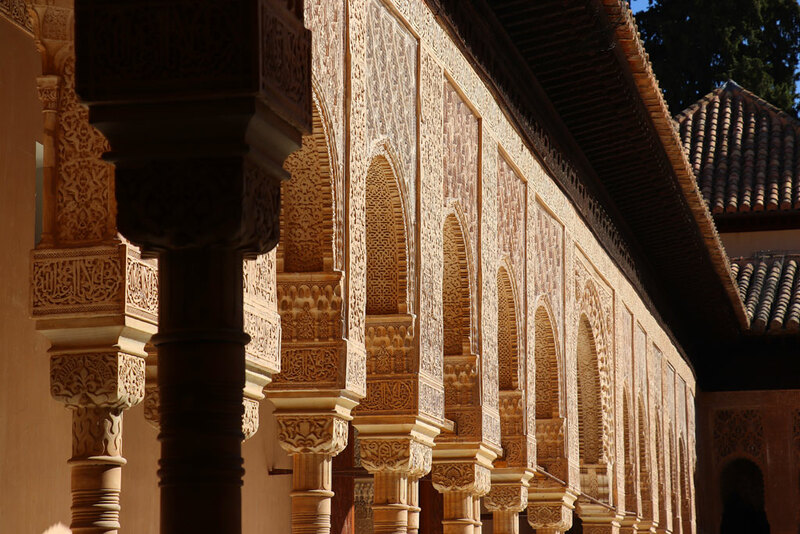 memorable group tour offering a FUN introduction to Spanish and Andalusian culture and history - great meals, great weather and great hotels." 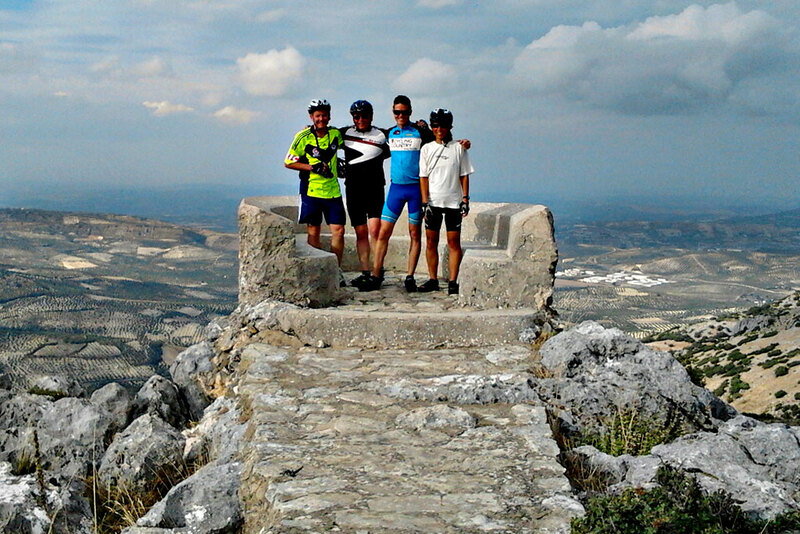 "We had a wonderful trip and we have great memories from cycling in Andalucia with your company. 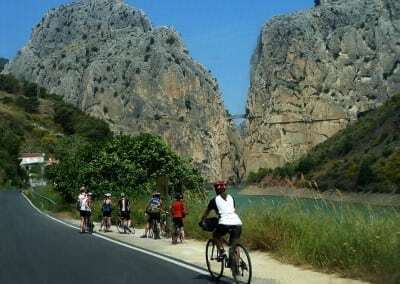 Overall the trip was very good, the route was well planned, the scenery beautiful and the bikes in excellent conditions. It is a memorable week, biking all day, travelling to different places without having to deal with the logistic: a very relaxing trip! 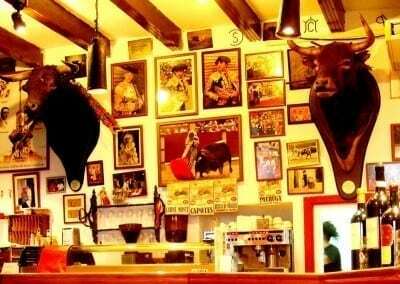 We appreciated having Javier with us, for his personality and the fact that he is a native of Spain. 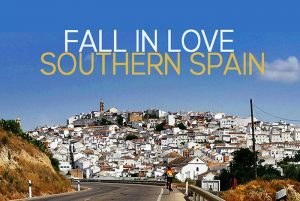 This is why we signed up with your company, because you are local and we wanted to encourage locals and have native Spaniards for guides. 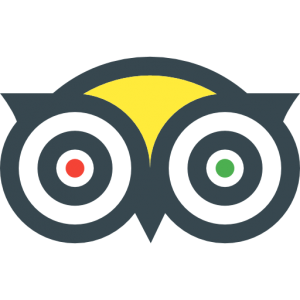 I don’t think we mentioned it to you then I guess we were lucky because we looked at your website site upon our return and saw that Javier is the only guide from Spain. We were lucky to have such small group, which allowed us to be able to spend more time with the guides, which we appreciated. The route was beautiful and well planned. 2 transfers by van were enough for us as one of our pleasures is to arrive to our destination by bike and use the van the least amount of time. 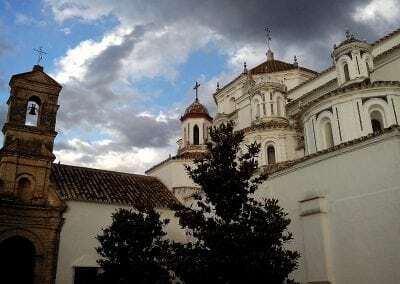 The guide in Cordoba was great. The breakfasts were all very good with a lot of variety. Select Date to Ask for Information and Availablity! 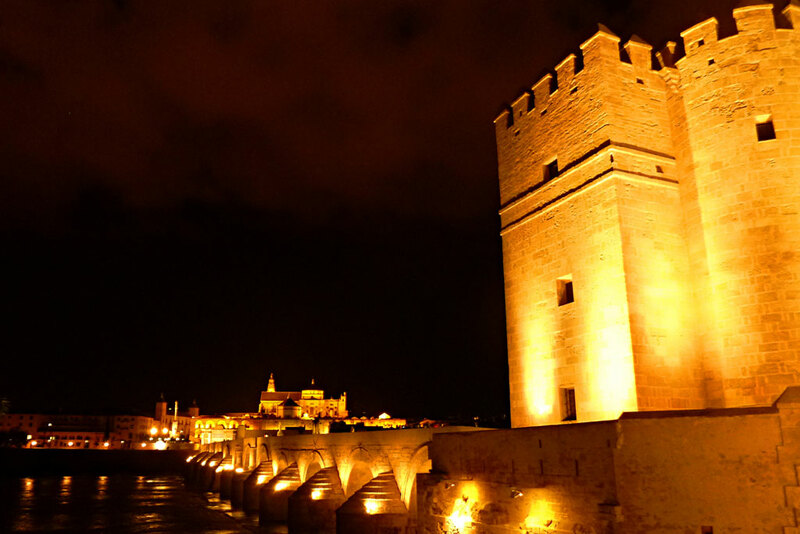 *23-29 May, 2019 tour is only available from Córdoba - Join us now and get it for €2,360! 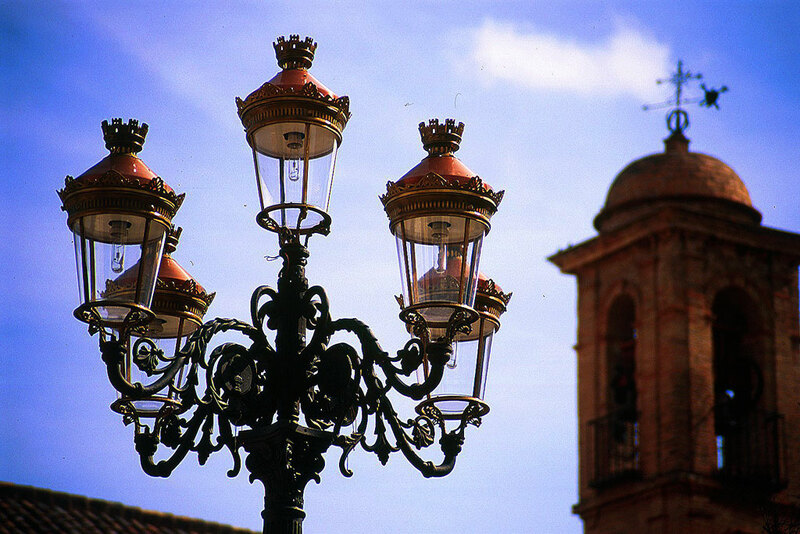 Enjoy a day in Córdoba before the tour starts, with a guided walking tour included! 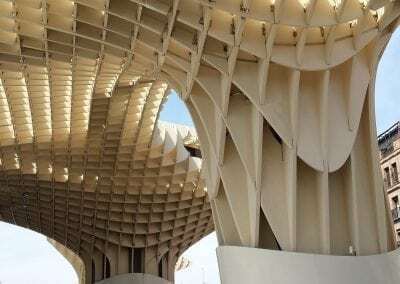 Join these tours up with the Portugal Amazing Alentejo tour to make an unforgettable Trans Iberian trip - transfers included from Portugal to Seville, Spain plus 2 complimentary nights in a 4 star hotel in Seville and a 5% combined trip discount! 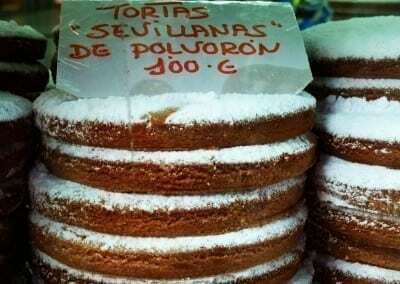 Price includes all local taxes. Single supplements apply (see individual trip details). Please note we transact in Euros. Full van support & Bike Options! 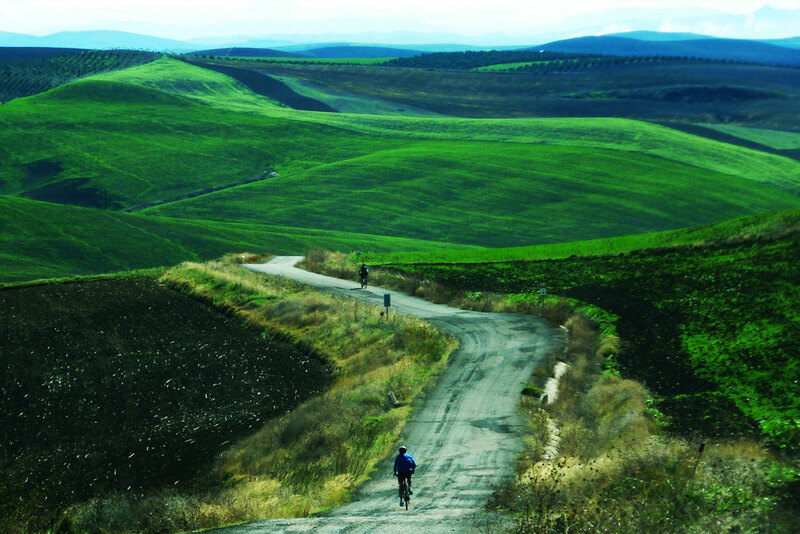 Ride this magical area on a performance carbon road bike, a comfortable hybrid or even an Electric assist bike. 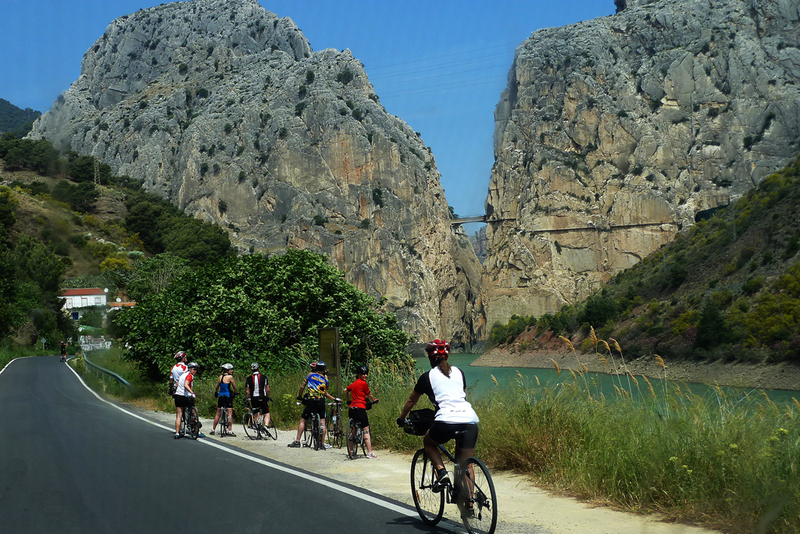 We absolutely loved our cycling trip! The small group was ideal - Dean and Warren couldn't have been better guides - and the hotels were wonderful! 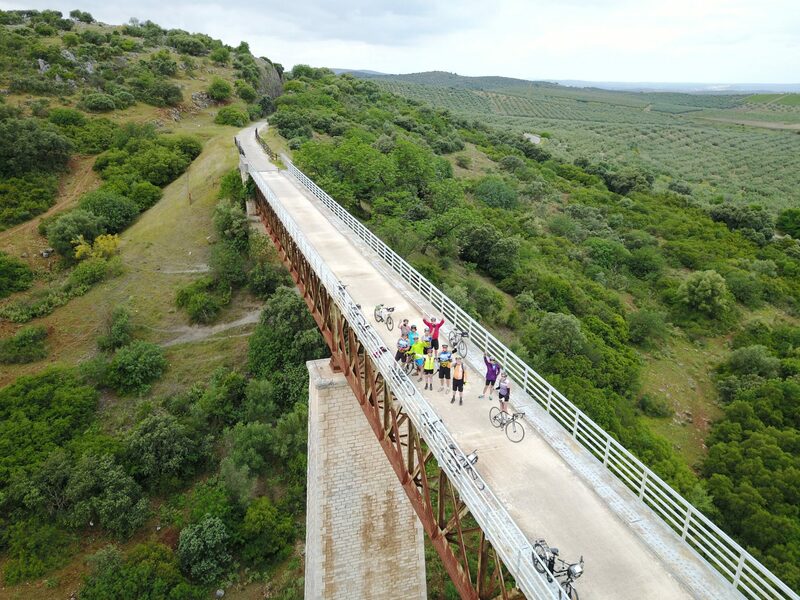 Thanks for helping us plan and take part in a fantastic cycling vacation in Andalucia!